I don't know about you, but I am freaking dreaming of a warm weather vacation!! We're planning a trip to southeast Asia for late March so I guess I'll have to wait it out in the cold until until then. I'm so tired of sweaters and boots though, so I'll just be sitting here in Chicago bundled under a million blankets ordering all of the coverups and dresses and pom poms and swimsuits. I seriously pinned so much stuff I wanted this week that this week for Friday Finds we're going double-time. Oh, and sorry Ellen, but I don't think anything is actually under $50 this time. Looks like I fail at budgeting and dressing weather-appropriate. 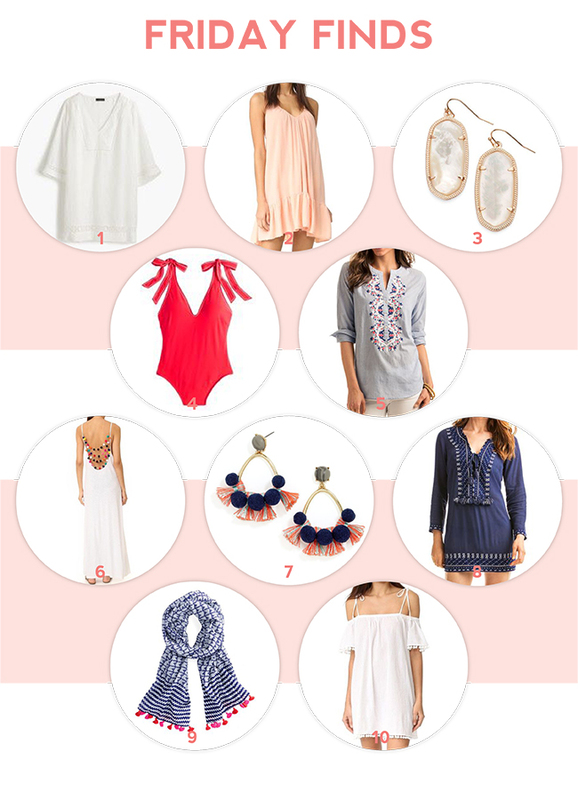 So anyway, here's what would be in my suitcase if I were packing for a little warm weather getaway!